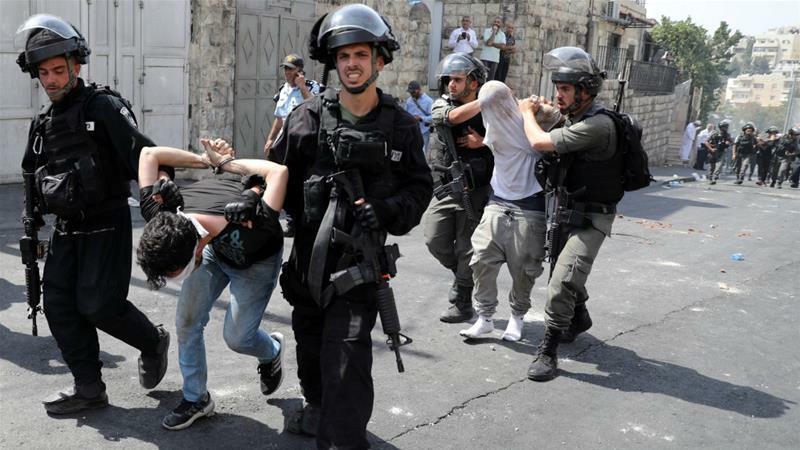 Ramallah/Gaza: During the month of March 2018, the Israeli occupation forces arrested 609 Palestinians, which included 95 children and 13 women. These figures are drawn from a joint report, published by a number of human rights organizations (The Commission for Prisoners and Ex-Prisoner Affairs, The Prisoners’ Club, Addameer Human Rights Association, and Al Mezan Center for Human Rights), which documents the occupation forces’ violations against prisoners and their families for the month of March 2018. On the date of 28 March 2018, there were a total of 6500 Palestinians being held in occupation prisons. Of this number, 62 are female prisoners, with 8 of these being female child prisoners. The total number of child prisoners is currently 350. In regards to the policy of administrative detention, the occupation authorities issued 81 orders. Of these, 34 were new with the rest being renewals of existing orders. The total number of administrative detainees is currently 500. The report additionally concerns itself with the Israeli practices that are currently being utilized against Palestinian prisoners. This includes a recent increase in the use of solitary confinement as a form of punishing prisoners. Fundamentally, the report confirms that Israel’s system of incarceration violates both international humanitarian and international human rights law. We, as Palestinian civil society, call on the international community to hold the occupying power accountable for its violations of the Fourth Geneva Convention and its continued oppression of the Palestinian people. Additionally, we call on the people of the world to continue to pressure their governments to cease their support for the state of Israel and stand in solidarity with the Palestinian people.